CBRE Leeds has boosted its building consultancy team with the appointment of Gary Allen as director and Dean McNulty as surveyor. 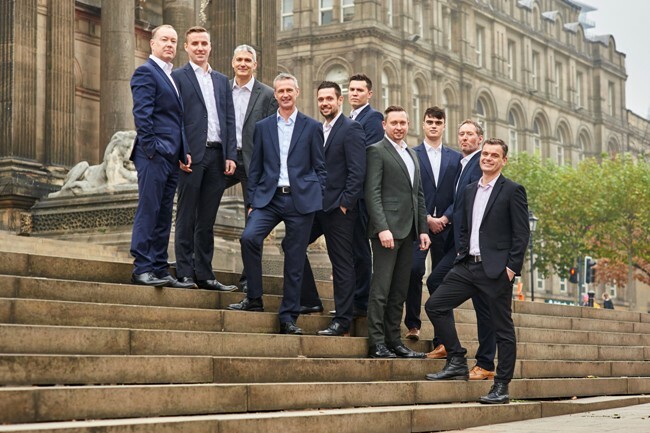 These appointments are part of CBRE’s continuing growth of the Building Surveying and Project Management service lines and follow a series of new hires in Manchester, Birmingham and Scotland, bringing the Building Consultancy team in the regional offices to 90. Gary joins from Mace Cost Consultancy Limited to head the CBRE project and cost management services in the North East working with its stablished teams in Leeds and the growing team in the North West. Gary also joins the CBRE team of Healthcare sector experts working across the UK boosting capability and expertise in this field. Dean McNulty joins from GVA and will work with the established professional team focusing on dilapidations and building surveys. The Leeds team will also be supported by new placement student, James Griffiths who is currently studying for his BSc(Hons) degree at Sheffield Hallam University. Richard Bamford, head of building consultancy National Offices, said: “I am delighted to welcome Gary, Dean and James to the National Building Consultancy team. CBRE is attracting a wealth of great talent which is enabling us to continue to grow our business and to strengthen our service offering and sector expertise. “Gary, Dean and James join at an exciting time for the business which has one of the most progressive employee cultures in the industry.